Richard Cox is a graduate of Campbell University and he is a freelance writer. He lives in Maryland with his wife and son who inspired his new book, “I, We, Us.” This book is designed to help the reader to grow by exploring the different roles each individual has. No matter who we are, we all have three dimensions – I, We, and Us. I thought the title of this book was rather unique. I had never thought of myself that way. However, as I read the book I saw the importance of separating the dimensions and looking at each one carefully. Cox starts by exploring the “I” dimension. If we are going to grow, we have to take an honest look at ourselves. I appreciated his positive viewpoint. He encourages readers, “Do not feel depressed if you are not where you think you should be. This is an opportunity to move forward toward a better you.” (pg. 21) He proceeds by asking the reader a series of thought-provoking questions. By answering these questions, readers are helped to discover who they really are and how they can make positive changes in their lives. Understandably, Cox dedicates most of the book to the “I” dimension. He makes the point that you may not be able to change others, but you can bring about a wonderful change in yourself. So, we have to start with ourselves before we can hope to improve our relationships with others. Next, Cox considers the “We” dimension. This concept deals with your identity as a spouse or significant other. Cox acknowledges how difficult it can be to blend two people with different backgrounds. Even though it can be difficult, it can be done successfully and in a way that is fulfilling for both parties. Each person in the relationship must fulfill his/her role. This book helps the reader define those roles. Cox asks the reader to describe their relationship and what their vision is for the future. If they are not on the right track to realize their vision, the couple can decide what changes need to be made. It’s a nice way for the couple to celebrate their achievements while finding ways to improve. Finally, the “Us” dimension is discussed. Stage three considers the identity dimension of a parent. The focus is the common interest and concerns of everyone in the family. The family should be a place where everyone can find security and a sense of belonging. Cox asks various questions to help the reader determine if he/she is fulfilling their role in the family and helping the family to achieve their goals. The reader is encouraged to list the challenges and pitfalls that the family faces and how they can overcome those potential roadblocks. I enjoyed reading this book. It made me think. Cox concludes the book with the three keys to maintaining personal growth. Throughout this book the reader is challenged to ask himself important questions and write down the answers in the book. It is a tool that is very valuable for personal growth. My favorite thing about this book is that Cox does not claim to be the ultimate authority on this subject. He directs the reader’s attention to the supreme authority – Almighty God. Cox quotes Scriptures to support the advice he gives. Everyone that reads this book will become a better person by applying the counsel within its pages. Chris Cleave is a Novelist and a Journalist. He lives in London with his wife and three kids. His second novel, “Little Bee,” is a New York Times #1 Bestseller. After reading this book, I can truly understand why it is a bestseller. I had never heard of Chris Cleave. When I saw the title on the Bestsellers List, I really had no interest in reading it. However, I heard so many good things about it so I decided to give it a try. I am so glad that I did. This novel blew me away. Little Bee is a teenage girl from Nigeria who finds herself in an immigration detention center in London. She has experienced so much pain and suffering during her short life. The atrocities that Little Bee and her family have had to endure are almost unimaginable. Cleave paints this picture very well. He is masterful at keeping the reader on the edge of his seat. 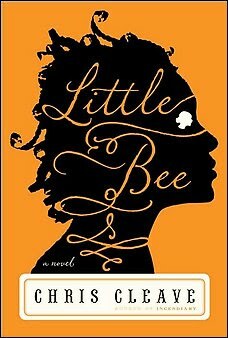 During the entire first half of this novel I understood that something terrible had happened in Little Bee’s life – but what was it? I eagerly turned every page to find out what happened. On the other hand, Little Bee is connected to the O’Rourke family in London. They met on a beach in Nigeria. The O’Rourkes were on vacation, but it was no vacation for Little Bee and her sister. The events that occurred during that meeting at the beach changed their lives forever. Again, Cleave builds suspense and keeps the reader wondering about what those events were. This novel is more than just suspense, though. This story stirred emotions in me. It caused me to ask myself, “What would I have done?” It made me question how far I would be willing to go to save the life of a fellow human being. How do you really know what you’ll do until you are in that situation? Cleave helps readers explore how we are all connected as human beings. No matter where we live in the world, we are all connected. We belong to the human family and we can help each other. What a heartwarming thought! “Little Bee” is an entertaining, thought-provoking story that anyone would enjoy.